Hello! 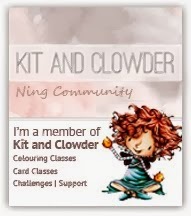 Today I have a card created for The Paper Nest Doll blog to share with you. I used the image from May new release called “Big Hair Amara”. I colored the image with distress ink. Then, I framed the image with scalloped circle die cut and some trims. Since Amara is sitting with a cat, I guess she is a cat lover. 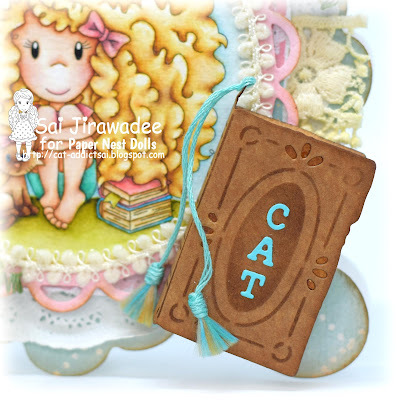 So I made Amara reading about cats by adding the alphabets “CAT” in front of the book cover. The paper flowers are in the same color combo with the card. Beautiful! Love the color pallet and embellishments!